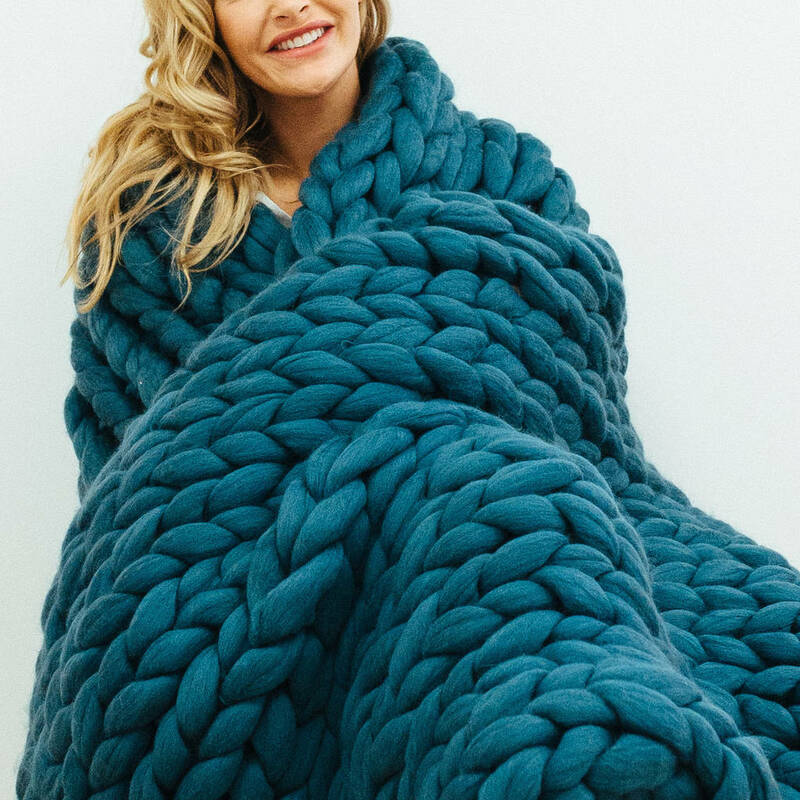 Wool Coutures giant hand knitted blankets add that special touch to any room. Made from the finest merino wool, our blankets look great thrown on a sofa, draped over a bed and perfect for a special 'cuddle' with that special person. 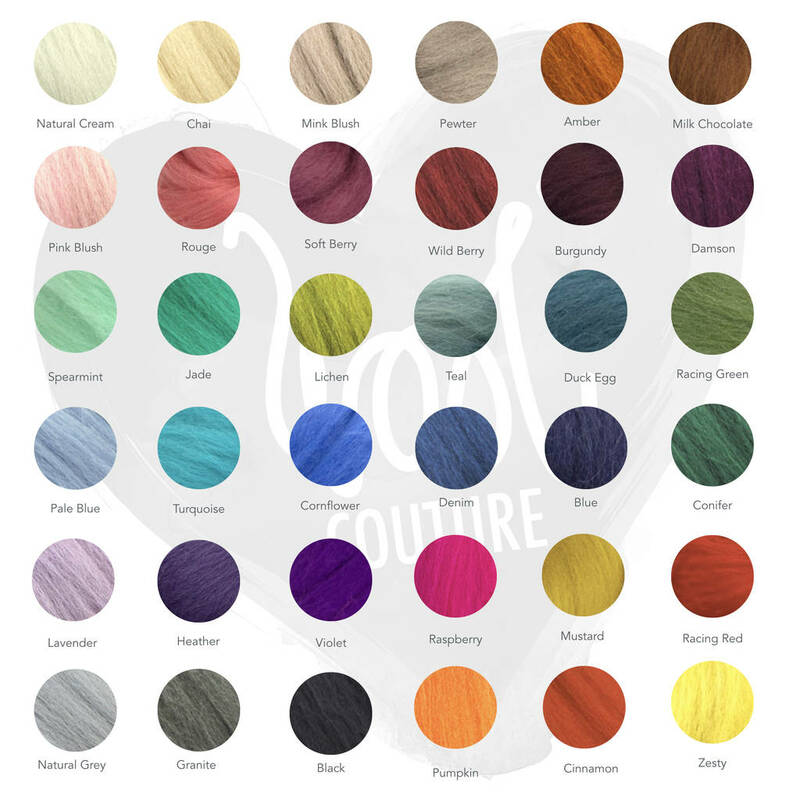 Wool Couture blankets make a perfect wedding gift, birthday present or just any special occasion that deserves a special gift. We are very careful where we source our wool and only ever use 100% pure merino with no added synthetics. We also believe that all animals deserve a good quality of life and always ensure our wool comes from non - mulesed flocks. 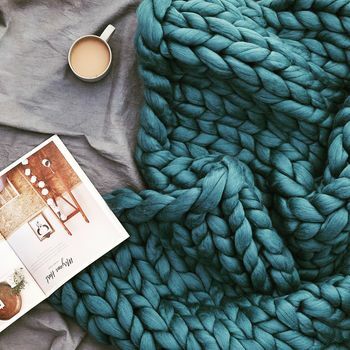 Your blanket will be will be supple and the measurements will change within a few inches back and forth with use, because of the natural movement in the yarn. 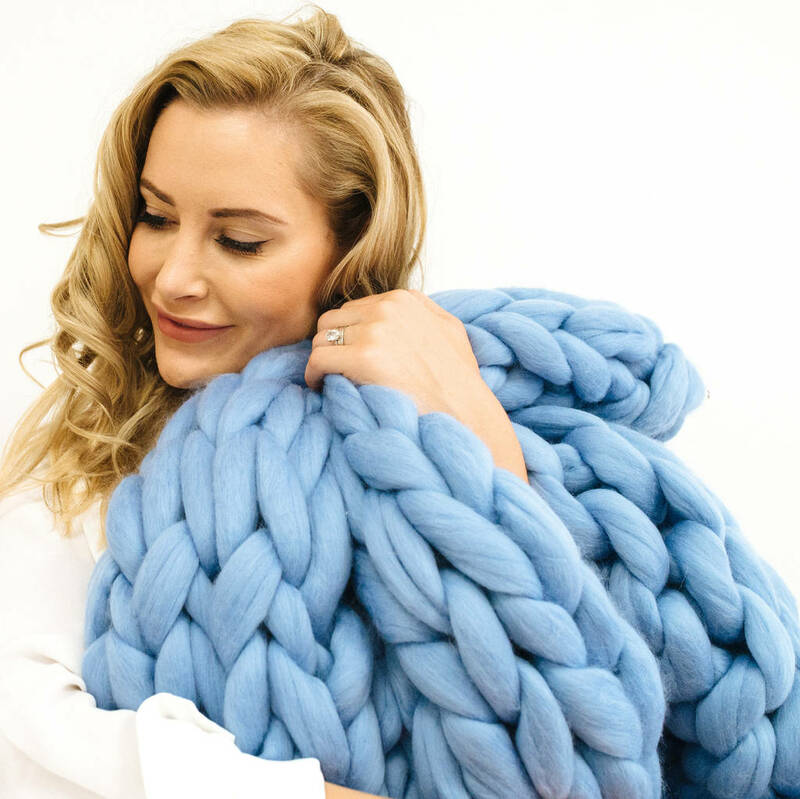 This is a luxury item, made with the pure quality merino wool and is designed to add pure luxury to your room, so please treat the blanket with care. Un-spun wool may lightly shed and pure merino wool will have a wooly smell until the blanket has aired. Spot cleaning is recommended. Professionally dry clean if required. Your blanket will be made in your choice of colour and size.